2018 Nissan Maxima Trim Levels with Comparisons & Configurations. What 2018 Nissan Maxima Trim Level Should you Buy? What is the Difference Between Trims? Nissan’s headlining sedan model - the Nissan Maxima - is a car that tends to defy conventional classifications. 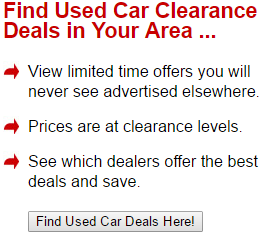 While technically it is a large mass-market sedan, it certainly does not feel limited by that descriptor. Nissan itself calls it a four-door sports car, and it does offer a very coupe-like styling and driving feel, blurring the lines between those designations. Similarly, it is also positioned somewhere between the premium mass-market price range and the entry-level luxury one. It has a higher starting price than most of its competitors, but is also more lavishly equipped. 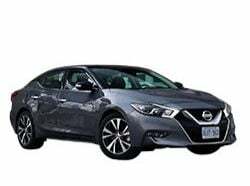 On the upper end of its model range, the Maxima can easily stand side-by-side with some luxury sport sedan models, both in price and in the quality of the amenities inside. Combined with the relatively limited customizability of the different Maxima models, choosing the perfect trim line can be a little more difficult than with other similar vehicles. Nissan has also made some changes to the feature set every year since the new generation of the Maxima was released in 2016, making the 2018 Nissan Maxima a little different from its predecessors as well. This guide aims to demystify the process of selecting the right trim level for your next 2018 Maxima. We will show you what each different trim level has to offer, as well as providing some insight into the value of each model and how it compares to the others. 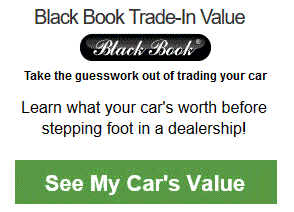 With this information in hand, you will be driving the perfect genre-defying four-door sports car in no time! Compare the 2018 Maxima 3.5 S vs 3.5 SV Trims. What is the difference? While the Nissan Maxima 3.5 S is noticeably pricier than the entry level models of other large sedans, it is also considerably better equipped. Only a few of the most popular features are missing from this high-value model. The standard equipment includes powered front seats, an 8-inch touch screen advanced infotainment system with Android Auto and Apple CarPlay, Bluetooth, dual-zone climate control, a built-in navigation system, a remote starter, and an eight-speaker sound system that supports both satellite and HD radio. It also comes standard with a forward collision warning system linked with emergency automatic braking. For most buyers, this impressive list of features covers all of their must-haves and want-to-haves, as well as throwing in a bunch of nice-to-haves. The 3.5 SV model primarily focuses on improving the Maxima’s seating surfaces. It includes all of the 3.5 S standard equipment, and adds a number of comfort features to them. Leather upholstery and heated front seats are among them, as is powered lumbar support for the driver’s seat, which also gets a nice set of thigh bolsters. The 3.5 SV also includes front and rear sonar-based parking sensors, and the entire package comes in at about $2,000 more than the list price of the 3.5 S model. The excellent value that the Maxima 3.5 S offers simply can’t be overstated. As an entry-level model, it outclasses many competitors’ mid-range or high-end offerings. The 3.5 SV also offers a very good return on investment, being effectively the “3.5 S with leather” trim level, though the parking sensors can be a surprisingly helpful sleeper feature of the model, especially if you are trading up to the Maxima from a smaller car. In general, both the 3.5 S and the 3.5 SV model are a good choice, with the major deciding factor between the two being whether you prefer a cloth interior or a leather one. The only negative to those two models is the absence of options for either blind spot monitors or a moonroof, which are both highly sought-after features and are considered must-haves for many buyers today. In order to get those features, you have to upgrade to the higher-priced SL model, which also includes a number of other features. Compare the 2018 Nissan Maxima 3.5 SV vs 3.5 SL Trim Levels. What is the difference? On most other cars, the 3.5 SL would be on the upper half of the model range, but on the Maxima it falls right in the middle. In general, it fills out the remaining convenience and safety features that were not found on the 3.5 S and the 3.5 SV trim levels. The Maxima 3.5 SL comes with a dual-pane panoramic moonroof, blind spot monitoring, rear cross traffic alert, and an intelligent cruise control system that can automatically speed up or slow down in order to maintain distance with the car in front of you. It also comes with a high-end surround sound system from Bose with 11 speakers. The 3.5 SL is a somewhat strange model in our eyes, including both desirable mass-market features, like the moonroof and the safety technology, while also including a higher-end luxury item with the upgraded audio. The former two would probably be a much more popular option if they were included with the 3.5 SV, while the latter matches the high-end ambiance of the 3.5 SR and 3.5 Platinum models. As a result, the 3.5 SL feels a little bit like an in-between model, not fully satisfying for either value buyers looking for better safety technology or comfort buyers looking for glitz and bling. That said, if you feel strongly about at least one of the major features that the 3.5 SL adds, it is still a good buy. It just does not have the same impact that the deep feature sets of the Maxima 3.5 S or the Maxima 3.5 SV do. Compare the Maxima 3.5 SL vs 3.5 SR Trims. What is the difference? With the 3.5 SR, the Maxima trim progression takes a bit of a detour. Instead of adding more comfort and convenience features like the previous models, the 3.5 SR focuses on giving the Maxima a higher level of performance. While it is still equipped with the same engine as the rest of the Maximas and produces the same amount of power, it does include a number of very attractive performance features perfect for driving enthusiasts. The 18-inch wheels of the 3.5 SL are traded in for 19-inch ones and the suspension is tightened and tuned compared to the regular Maxima models. The 3.5 SR also includes the Integrated Dynamics Control Module. It is a computer system linking the steering, braking and suspension, adjusting each on the fly in response to the other two. This gives the 3.5 SR better control going in and out of turns and helps reduce body roll. The 3.5 SR also comes with premium Ascot leather upholstery with Alcantara accents, as well as brighter LED headlights, though it loses the SL’s panoramic moonroof. The 2018 Maxima 3.5 SR is also the only Maxima with an optional available package. Unlike the other SRs, the Maxima 3.5 SR Midnight Edition is only available in white, black and gray, and adds blacked out accents and badging throughout the car’s interior and exterior and comes with unique Midnight-only black alloy wheels. The 3.5 SR is really the best choice for drivers looking to get the most performance they can out of their car. Because of its potent engine and aerodynamic design, the Maxima already feels quite athletic for a large car. The improved handling and maneuverability that the upgraded suspension and the Integrated Dynamics Control Module provide can only really be felt once you start pushing it close to its limits, which the vast majority of drivers simply won’t be doing often enough to justify selecting the 3.5 SR. Those that do, on the other hand, will really appreciate the added crispness that the 3.5 SR brings to the Maxima driving experience. Compare the Maxima 3.5 SL vs 3.5 Platinum Trim Levels. What is the difference? With the 3.5 SR being somewhat separate from the other Maxima models, the 3.5 Platinum builds on the feature set of the 3.5 SL instead, lacking the performance-focused 3.5 SR upgrades. The leather seating is upgraded to the premium Ascot hides and is accompanied by matching luxury interior accents. The front driver and the passenger seats are both climate controlled, capable of either heating or cooling as necessary. The 3.5 Platinum also replaces the standard rearview camera with a 360-degree Intelligent Around View Monitor to make it easy to maneuver the car in close quarters. A drowsiness monitor helps keep you from losing concentration on long drives and the NissanConnect series of services helps you navigate and keep your vehicle safe and maintained. Given how upscale the Maxima 3.5 Platinum looks, it is effectively more of a luxury car competitor than a mass-market large car. 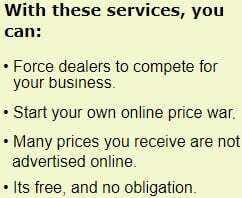 That is reinforced by features like the NissanConnect, which is similar to a concierge service for your car in many ways. For drivers who are looking for luxury-car comfort without paying a premium for a luxury name tag, the Nissan Maxima 3.5 Platinum is a perfect alternative. More value-oriented drivers will find only a few really impressive features however, as the 3.5 SL is just as comfortable and has almost the same amenities as the Platinum. Each of the trim levels of the 2018 Nissan Maxima is aimed at a particular type of buyer, which can almost make the Maxima feel like four different cars in one. The 3.5 S is a technophile dream, thanks to it impressive bench of standard technology, and offers a high-value large car experience that is ahead of many of its rivals. It offers the best bang for the buck for a value shopper. The 3.5 SV and the 3.5 SL between them cover everything you could expect in upper end trim levels of a large car, aiming at drivers cross-shopping the Maxima’s competition. The 3.5 SR meanwhile offers compelling proof for Nissan’s ‘four-door sports car’ designation, and will be a top choice for many performance enthusiasts. On the upper end, the 3.5 Platinum is a luxury car in all but name, with both the looks and the features to match, making it a viable alternative for those shoppers. Other than the slightly non-standard progression between the SV and the SL, each trim level is perfectly optimized to its target audience, making choosing the right Maxima both easy and rewarding.